In our ever increasingly busy lives, it seems the levels of stress keep rising. We’re not quite certain if the stress levels are, indeed rising, or if, as a general population we are losing our abilities to cope with it any further. On the news you hear of road rage, child abuse, murders and other indescribable crimes against humanity. The financial worries never seem to end, as there is always someone out there who wants more of the precious little you have. There seems to come a time in each individual’s life when the warning lights start going off in his or her head predicting an impending meltdown unless steps are taken quickly to calm things down. Our suggestions at Green Valley Aromatherapy are nature’s answer to a non-invasive coping mechanism. The garden is filled with many plants, flowers and herbs capable of offering to us peace and tranquility, even if it is only for a short time. 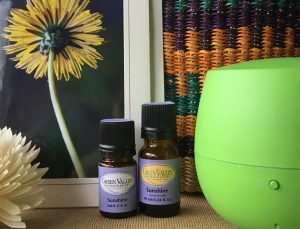 Having used the gifts essential oils impart to us, the once intolerable stressors seem not so bad. When the body and spirit are soothed, it is easier to sit down with a clear head and rationally deal with whatever it was that had us off the edge before. The essential oils listed below are well known for their calming and soothing properties. These can be used in massage, in the bath, in a diffuser, in a room spray, or merely inhaled as needed from a tissue or hanky. 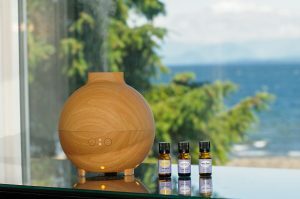 To assist you in your journey toward peace and tranquility, may we recommend our own blends of StressBuster aromatherapy blend, Tranquility aromatherapy blend , Sunshine aromatherapy blend and Peace aromatherapy blend , all blended 100% pure essential oils designed to assist the body, mind and spirit in calming, relaxing and rejuvenating. All articles on this website are copyright Green Valley Aromatherapy Ltd. If you wish to reprint any article from Green Valley Aromatherapy’s website in your ezine, website, blog, forum, RSS feed or print publication, you must first agree to the conditions of our article reprint policy.